When low pressure is a problem, Liberty Lift can provide the solution. Liberty Lift’s oil and gas well artificial lifting solutions are built with superior design and engineering and are supported by a service team that is available anywhere at any time. Crosby is an example of our providing local expertise in the heart of one of the country’s most prolific shale plays. Our core management team has more than a century of experience with various pumping and lifting systems, so we have the brains and the leading edge products to get the job done right. Oil and natural gas extraction demands better technology and better solutions than ever. Liberty Lift is up to the challenge. Today, oil and natural gas wells are almost always plagued with pressure issues, regardless of the well’s depth or flow rate. Liberty Lift manufactures a complete line of pumping units to counter this ubiquitous problem. Our oil and natural gas lifting solutions are improved and iterated on regularly, ensuring that Liberty remains at the forefront of the well stimulation and lifting industry. And with Liberty Lift’s army of support professionals, available 24/7, we can design and implement solutions for our clients, no matter where they are. Liberty Lift is an artificial lift system provider, with the technologies and services needed to optimize every well’s production. Our products are designed and built to fit every oil & gas extraction operation, no matter what conditions the operators are facing. An extremely shallow or deep well? No problem. A well that’s experiencing particularly high or low flow rates? Not an issue. Deviated or horizontal well? We have solutions for those too. In short, Liberty Lift is a leader in the industry, and our core management team has more than 125 years of experience in the field to prove it. Liberty Lift’s manufacturing, design and installation capabilities are best exemplified in our diverse product line. Our beam pumping units, hydraulic jet pumping units and gas lifting systems are built to exceed API 11E standards, and our XL Long Stroke was drawn up and designed by Liberty Lift engineers. And all of it is supported by Liberty Lift’s best in the business service team, which can provide assistance to any client operating in U.S. drilling regions. Liberty Lift is a leader in oil & gas lift applications, with several pump technologies available for any kind of well. We can provide and service iron to any rig in major U.S. drilling regions, and fit our products to your rig’s needs. Our leadership team combines more than a century of experience in the industry, so there isn’t a pressure problem that our artificial lift systems can’t solve. Our core team is backed up by trusted and reliable service staff out in the field. Behind every great oil and natural gas lift company, there is a talented support team holding everything together. Such is the case at Liberty Lift, where our service team is the hardest working and most versatile in the industry. Our support professionals are experts at helping our clients manage their lift operations, ensuring that every well remains at maximum production. Liberty Lift’s support team offers 24/7 availability and can perform both field services, and service at one of our facilities. Liberty Lift has service hubs throughout U.S. drilling regions, so we are never far away. At one of our facilities, Liberty Lift’s team can fabricate or repair a variety of components, including gears, belt guards and structural bearings. We can test our pumping units to guarantee their performance and we maintain a deep inventory for our clients’ needs. And in the field, Liberty Lift’s team can inspect and change out components, and perform specialized maintenance on our gas lift systems and hydraulic jet pumping units. Even the best designers and engineers need plenty of knowledgeable muscle to keep everything going, and Liberty Lift’s fit the bill. Liberty Lift brings together the best of design, engineering, manufacturing and support to develop the most comprehensive artificial lift solutions the industry can offer. We have more than a century of combined experience at the top, so we know all things pump units. Liberty Lift’s product array is constantly improving and constantly getting bigger, and our lift technologies are the most advanced in the field, tailored for every well imaginable. And every pump unit is backed by knowledgeable support professionals that can maintain, replace and fabricate components as needed in the field. Liberty Lift’s solutions answer immediate and long term artificial lift needs. Liberty Lift designs and manufactures a variety of pumping units, including ever-reliable and usable beam pumping technology. Liberty Lift’s beam pumping units are built on a strong engineering foundation, as our team brings more than 30 years of beam pumping engineering experience together. The result is two beam pumping system designs, a High Efficiency model and an Enhanced Geometry model. Both the HE and EG models are designed with a brake assembly that includes a smooth positive linking system, producing optimal stopping power. Safety, then, is a priority, as well as ease of use, as both come with a counterbalance that can be readily configured by a single person. Liberty Lift’s beam pumping units are backed by a deep inventory of components and a support team that can fabricate new components when needed. And because our support crew is available around the clock, every day of the week, downtime is always kept to a minimum. Liberty Lift, then, is not just a provider of beam pumping solutions, but an ongoing artificial lift partner. Liberty Lift offers several forms of artificial lift technology, but its gas lift systems might be the most versatile available. Artificial gas lift technology is effective in a huge variety of rig configurations and well environments, so it is a standard pick when data is low or when an all-rounder is needed. Liberty Lift’s gas lift systems emphasize that flexibility and are designed to eliminate flowback fluids and solids with greater efficiency than competing units. Gas lift technology is a go to option when a well is anything but vertical and free of solids. 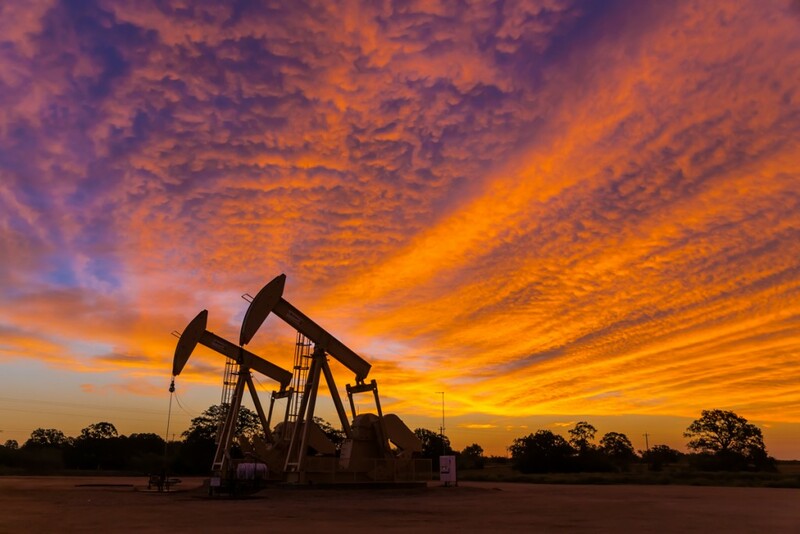 As such, it is an extensively used system for offshore wells, directional wells and wells found in places like the Permian Basin, where solids are an ever present issue. Liberty Lift’s gas lift systems are ideal for challenging settings, and can be operated with intermittent or continuous gas injection. Each one is packaged with the essential gas lift mandrels and valves, and the system can be adapted to changing conditions in the well, which is expected over the course of the well’s lifespan. And Liberty Lift will be there at every stage, maintaining the technology to guarantee its continued effectiveness. Rod pumps with enhanced stroke lengths are quickly adding a new level of productivity to oil and natural gas wells in need of artificial lift. And Liberty Lift’s XL Long Stroke is a formidable example of the technology. The XL Long Stroke is configured with a 306-inch stroke length, and they don’t get much longer than that. Enhanced efficiency, safety and reliability are just a few bonuses that come with the XL Long Stroke. Fewer cycles put less wear on the rod and valves. Decreased rod stretch ensures greater fillage and fluid capture. And each unit comes with several safety features, like an emergency brake system and tie-offs at every access point. Also important, Liberty Lift fabricates and machines all components for the XL Long Stroke in-house, so it is an extremely controlled operation. This enables Liberty Lift’s support team to provide maintenance, replacement and installation in the field with little downtime, adding more value to a system that practically defines the term. Liberty Lift supports oil & gas operations all over the U.S., and to do that, our support team and logistics must always be on point. It’s a focus for Liberty Lift, which is why we keep a deep inventory of lift systems, both new and reconditioned, and the components essential to those technologies. Our support technicians and facilities are capable of extensive machining and fabrication, and we deliver those components rapidly, so Liberty Lift’s clients experience minimal downtime. In most cases, the desired components or lift systems are available immediately. And that’s the story with Liberty Lift – always available. On top of our innovative lift products, unmatched service and rapid parts, we also partner with other industry-leading companies to bring you the best in artificial lift technology, such as our versatile hydraulic jet pump. Hydraulic jet lift technology is among the most well-rounded artificial lift systems in the industry. It can function beautifully at various depths, performance can be adjusted for any well condition, and maintenance is a snap. But Liberty Lift and JJ Tech, together, have made the technology even better. The Liberty Lift and JJ Tech hydraulic jet pump is a marvel of engineering and can stimulate wells that are crooked or challenged with high solid counts. With normal or reverse operational capability, it can be adjusted quickly to handle heavy solids or sands. The downhole pump is also built and coated with high durability materials that resist both corrosion and erosion. And because the pump can be retrieved hydraulically or via wireline, maintenance can be performed rapidly and with fewer workovers. The surface diaphragm pump is a winner from Wanner Engineering, and comes standard with plentiful sensors, gauges, controllers and safety components to ensure productive and safe operation. Together with JJ Tech’s downhole pump, the Liberty Lift and JJ Tech hydraulic pump system delivers in every respect.